One of the most intriguing ideas to come out of Marvel in 2017 was the Avengers of 1,000,000 B.C. It was a concept that was befitting the House of Ideas itself, with a prehistoric team that included Odin of Asgard, an early possessors of the power of the Iron Fist, a forerunner to the mantle of the Black Panther, and Ghost Rider. 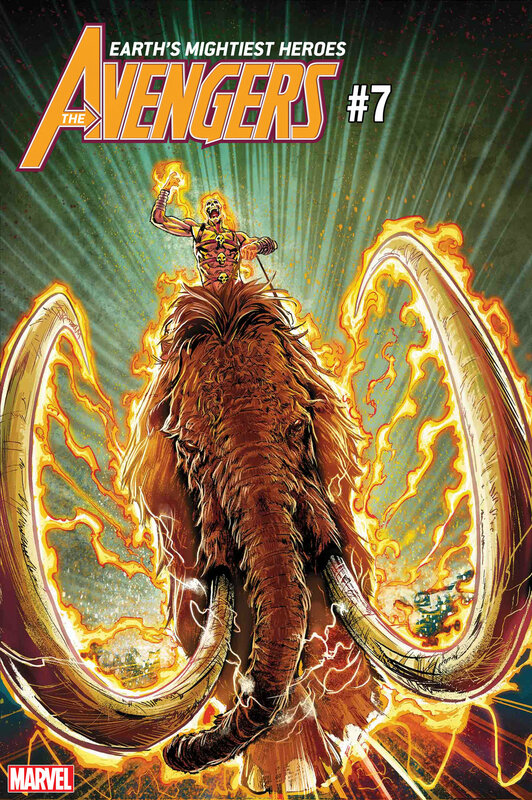 Ghost Rider, it should be noted, rode around on a flaming woolly mammoth. It is the most metal thing I've ever seen. This September, Jason Aaron returns to his greatest creation as he reveals the origin of Ghost Rider 1,000,000 B.C. in Avengers #7. With superstar artist Sara Pichelli on pencils, this will no doubt be the greatest selling comic of all time, so place your orders as soon as you can. The Origin of the Very First Ghost Rider Revealed in AVENGERS #7! Jason Aaron and Sara Pichelli team up for a special story about the beginning of the Marvel Universe! New York, NY—June 12, 2018—You know his name…you know his face…and you know the flaming woolly mammoth that he rides into battle. Last year, MARVEL LEGACY introduced Odin and his Prehistoric Avengers to critical acclaim, with their story becoming the number one comic in the industry—and now, Marvel invites you to witness the origin of the very first Ghost Rider! Superstar artist Sara Pichelli (Fantastic Four, FCBD Avengers) joins Avengers writer Jason Aaron for this special “one and done” story that takes you back in time to 1,000,000 BC! Avengers #7 hits comic shops and digital retailers on September 5. Check the gallery below for the full cover from Geoff Shaw and a first look at Sara Pichelli's interiors.